October 13 is Margaret Thatcher’s birthday. Thatcher is best known for her career in politics. She served as Prime Minister of the United Kingdom for 11 years from 1979 to 1990. 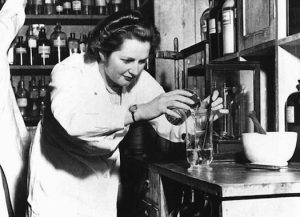 While most people think of her in the political sense, she began her professional life as a scientist. Margaret Roberts entered Somerville College in Oxford as a chemistry student. She worked under Dorothy Crawfoot Hodgkin (who would win a Nobel Prize in Chemistry in 1964) as an x-ray crystallographer. During this time, she joined the Oxford University Conservative Association and began her involvement in politics. Upon graduating, she obtained a position as a research chemist for BX Plastics. Her last scientific position was with J. Lyons and Company where she worked on the team that developed ice cream emulsifiers. This team was responsible for the invention of soft serve ice cream. Soft serve ice cream has more air than conventional ice cream, giving it a lighter texture along with using fewer ingredients and lowering the cost. The next time you get a soft serve ice cream cone, you can partially thank the Iron Lady. 2003 – Bertram Neville Brockhouse died. 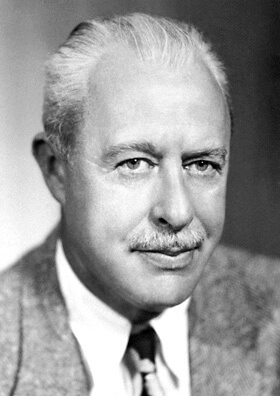 Brockhouse was a Canadian physicist who was awarded half the 1994 Nobel Prize in Physics for the development of neutron spectroscopy. 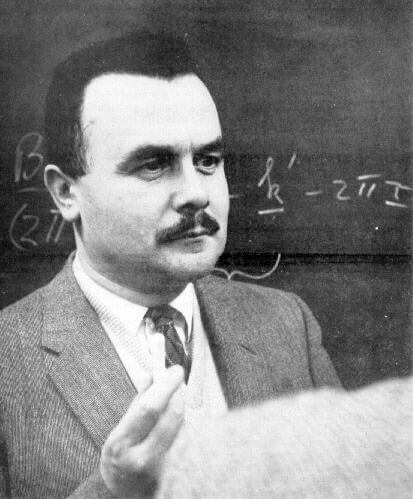 His method involves firing a beam of neutrons at a target and measuring the energy of the scattered neutrons to determine the target’s lattice vibrational energies. 1987 – Walter Brattain died. Brattain was an American physicist who shares the 1956 Nobel Prize in Physics with John Bardeen and William Shockley for the development of the semiconductor transistor. Transistors are electronic devices used to amplify or switch electronic signals and a basic unit in electronic design. Prior to the semiconductor transistor, transistors were high voltage vacuum tubes. The semiconductor transistor is much smaller, generates less heat and is less expensive. 1925 – Margaret Thatcher was born.